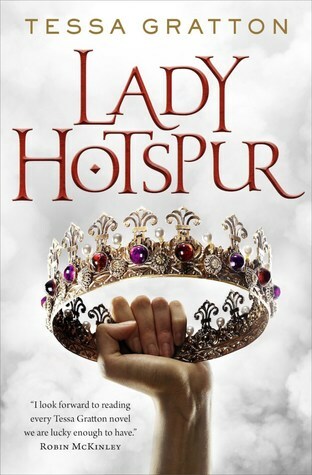 Inspired by Shakespeare's Henry IV, Lady Hotspur continues the saga of Innis Lear, centuries later, as revolution, love, and a betrayal corrupt the descendants of two warring kingdoms. Hal was once a knight, carefree and joyous, sworn to protect her future queen Banna Mora. But after a rebellion led by her own mother, Caleda, Hal is now the prince of Lionis, heir to the throne. The pressure of her crown and bloody memories of war plague her, as well as a need to shape her own destiny, no matter the cost. Lady Hotspur, known as the Wolf of Aremoria for her temper and warcraft, never expected to be more than a weapon. She certainly never expected to fall in love with the fiery Hal or be blindsided by an angry Queen’s promise to remake the whole world in her own image—a plan Hotspur knows will lead to tragedy. Banna Mora kept her life, but not her throne. Fleeing to Innis Lear to heal her heart and plot revenge, the stars and roots of Innis Lear will teach her that the only way to survive a burning world is to learn to breathe fire. These three women, together or apart, are the ones who have the power to bring the once-powerful Aremoria back to life—or destroy it forever.